Researchers weigh in on why we're fascinated with royal weddings — particularly this one. America hasn't been part of Britain for hundreds of years, yet so many of us are beyond excited to watch the royal wedding this coming weekend. Just about every single media outlet (including this one!) has run endless stories in anticipation of the nuptials of Prince Harry and his future bride, American actress Meghan Markle. Royal weddings are ratings platinum. According to an article on the topic in the UK edition of Harper’s Bazaar, TV viewership for the event is expected to exceed the 23 million Americans who tuned in for Prince William’s wedding to Kate Middleton in 2011. And according to an expert interviewed in The Guardian, media revenues related to the wedding will likely run as high as $100M. 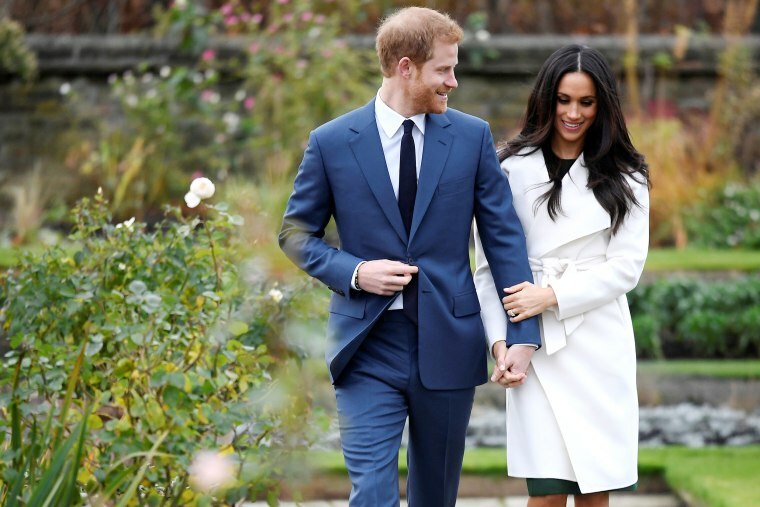 Arianne Chernock, an associate professor at the Department of History at Boston University, who has written extensively about gender roles in historical Britain, says America’s obsession with British royal weddings dates back to the 19th century. “Americans were clamoring for details about Victoria's wedding dress. Now, of course, that obsession is only amplified, due to the 24/7 news cycle and our fascination with celebrity culture,” she says. Sure, everyone loves a wedding, but why are so many Americans poised to wake up at the crack of dawn (or even earlier out West) on a Saturday morning to witness the union of this very attractive couple, and all of its glorious fanfare? The wedding of Prince Harry and Meghan Markle may be more popular than any of the other previous royal weddings because Meghan is an American and she is literally living out the American princess fairy tale. People have a parasocial relationship with these people and feel like they know them as much as they know their actual friends. Because so many Americans feel they know Markle from her work as an actress, and all of the world has known Prince Harry since he was born, Hefner says watching the royal wedding is like watching two pals get hitched. “People have a parasocial relationship with these people and feel like they know them as much as they know their actual friends, and so they want to witness an important milestone in their lives,” she says. The best reason of all to set an alarm. Editor’s Note: NBC News will broadcast special live editions of TODAY from the site of the royal wedding. A live stream will be available on TODAY.com. In addition, our Snapchat show Stay Tuned will release a special episode on Saturday dedicated to the royal wedding. However you choose to watch, tune in!